We went on Christmas Eve for a birthday celebration for our 15 year old Japanese visitor. We were the only people in the restaurant. 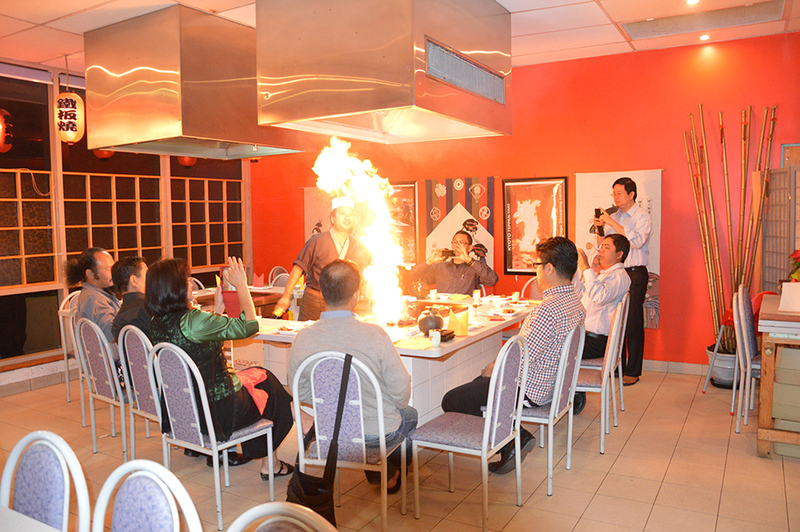 The chef put on an entertaining show for us and we had menu option A which was good quality food and very filling. Chicken was tender & tasty .Beef was teriyaki flavour and also very tender . We told the staff it was a birthday and they brought out the ice cream on a pancake topped with a sparkler for the birthday girl. Overall a good night and well worth a visit. really good. loved it. 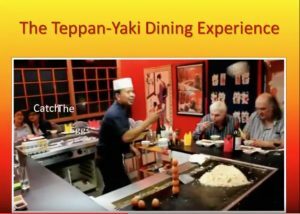 really entertaining and great food. really fast service especially because it’s cooked in front of you. really liked it when they throw the food at you, we were never bored! I’ve been here twice and both times it has been a great experience. I came once on a weekday, and the second time was on a Saturday. Whilst the overall restaurant atmosphere was a bit quieter on the weekday, the chef I had was actually livelier and more exuberant, although both chefs were great. As there was less people, I felt like we also had larger portions of the food, although both times we opted for Option A, and you’ll still probably be very full anyway. The food tasted great, and the games at the end resulted in lots of fun and laughter. Teppanyaki is especially fascinating as a first-time experience. It’s not something you’d go regularly to as it would probably soon lose its sparkle, but going once per year works out great for my family and I have thoroughly enjoyed my experiences here!